Emed > Hair Loss > The Butterfly Effect – How Healthy is Your Thyroid? Are you fat, flat and fatigued? Or are you frail, frantic and fractious? It may be one of the largest endocrine glands in the body but the thyroid gland is frequently the most overlooked. Thyroid disorders are common especially for women. In fact, by the age of 50, one in ten women has a thyroid disorder. Of particular concern is that 25% of those treated with conventional thyroid medication still have test results indicating poor thyroid activity. The impact of thyroid disorders is significant. Conditions such as osteoporosis, depression, fibromyalgia, recurrent miscarriages, infertility and even cardiovascular disease are associated with a poor functioning thyroid. So why are thyroid disorders so prevalent? Thyroid health is absolutely dependant upon the health of our nervous and immune systems. These two systems are often extremely depleted or out of balance and the thyroid is consequently caught in the middle. Autoimmunity can damage our thyroid gland and elevations of our stress hormones adrenaline and cortisol will exacerbate thyroid symptoms. The thyroid is a butterfly shaped gland that sits at the front and lower part of the throat. The gland contains follicles that produce the thyroid hormones T4 and T3. These hormones are responsible for essentially controlling the basic activity of each cell in the body, particularly our metabolism, growth and development. So a deviation of hormone levels will significantly impact our health. If you suspect a thyroid disorder, there is a simple test you can initially do at home. Checking the basal temperature (or body-at-rest) is a good indicator of thyroid function. Our normal body temperature is 37 degrees celcius. A consistent temperature below normal can indicate an under active thyroid whereas an overactive thyroid increases body temperature. Body–at-rest temperature refers to that temperature when you first wake up. For an accurate reading, do not move up and out of bed or have something to eat or drink as this will alter the lowest temperature reading. Women are also to perform this test at the beginning of their menstrual cycle (ie between the first day of the period until ovulation). After this the body temperature naturally rises with the increase in progesterone. Currently in Australia, Medicare will only cover the cost of testing for TSH in those without a known thyroid disease. If your TSH is outside the reference range (usually 0.5mIU/L – 5.0mIU/L) , then a FT4 and FT3 test is covered. This is where the issue begins. The current TSH reference range was based on historical statistical averages. Recent research has indicated that the range for TSH is actually 0.3 – 2.0mIU/L. This means that anyone with a value above 2.0mIU/L is possibly in the early stages of hypothyroidism.Testing for thyroid antibodies is also critical as most thyroid disorders in Australia are autoimmune. This test will therefore alert you to a problem in the early stages. In fact, your TSH can be normal and yet you have thyroid antibodies. This indicates that your immune system is attacking your thyroid gland and eventually your hormone levels will become abnormal. You can get your thyroid function tested through the Emed’s Thyroid Hormone and Comprehensive Thyroid Profiles. 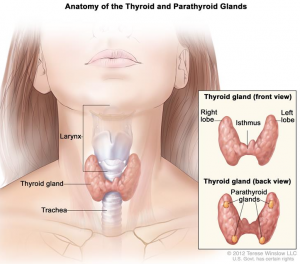 How many people are therefore potentially at risk of thyroid disease? Any thyroid gland that is misbehaving is usually treated with medication (Thyroxine or Neomercazol), surgery or radioactive iodine. The focus is on taming or boosting thyroid function or merely supplying the T4 hormone. Each treatment has its own issues and is often only addressing part of the thyroid picture. For example, taking Thyroxine (pharmaceutical T4 hormone) is only effective if the body can convert it successfully to T3. This requires a healthy liver function as well as adequate amounts of the nutrients selenium, iodine, zinc and vitamins A, D, B2 and B3. In the case of an overactive thyroid, the administration of radioactive iodine is recommended to suppress its activity. This can often result in the onset of hypothyroidism – a case of feast or famine! Just as we are advised to monitor our cholesterol and iron levels regularly, so too should we be vigilant about our thyroid health. Lithium is often used for cases of manic depression but will also prevent the thyroid from using iodine. Furthermore, Lithium prevents the release of thyroid hormone. In high doses, steroids will inhibit T4 from converting to T3 and aspirin will reduce the plasma level of T4, T4 and TSH. Even if you are taking thyroxine, it is still important to provide the gland with these key nutrients that promote healthy thyroid function. Separate supplements from your medication by at least 1 hour. Goitrogens are substances found in food that will interfere with the production of thyroid hormone. If consumed in large amounts, they can even cause the thyroid gland to enlarge (formation of a goitre). Many people with thyroid concerns respond well to reducing or eliminating gluten from their diet. In those already at risk of autoimmune disorders, gluten can further stimulate the immune system to produce autoantibodies. Gluten is found in wheat, rye, oats, barley and spelt. Choose instead millet, rice and quinoa. Heavy Metal toxicity is fast becoming a genuine health concern. We are constantly exposed to heavy metals via our food, water, air and even within our own home. The body can cope with amounts of these heavy metals to a certain point. We have in-built systems to break down and excrete these damaging substances. 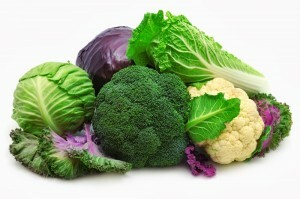 If, however the exposure becomes too great, then the heavy metals build up in tissues and start to undermine our health. 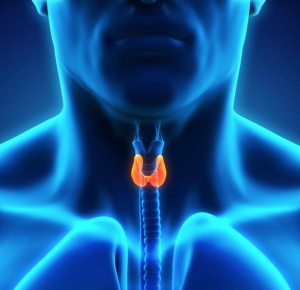 The thyroid gland is very sensitive to the effects of mercury, cadmium and lead. Fortunately, the availability of a Hair Mineral Analysis Test can identify the levels of these harmful heavy metals. 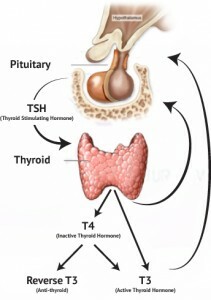 Chronically elevated stress hormones such as cortisol can have an inhibiting effect on thyroid function by reducing the conversion of T4 into the active T3 thyroid hormone. This can create a thyroid hormone imbalance known as reverse T3 dominance which can further contribute towards your adrenal symptoms. To find out more about the effects of stress on thyroid and general health, read more here. Mindfulness meditation is a great technique that can be used to reduce stress and cortisol levels, and thereby support healthy thyroid function too! As mentioned previously, the liver is responsible for converting T4 into the more effective T3 hormone. The liver therefore needs to be efficient and healthy. In addition to good dietary habits, a number of nutrients are able to promote the function of the liver. These include St Mary’s Thistle, Dandelion Root, Methionine, Inositol and Glycine. In April 1986 a calamitous nuclear explosion occurred in Chernobyl resulting in dangerous levels of radiation being released into the atmosphere. The radioactive material released contained high levels of radioactive iodine. The devastating effect of this explosion is still being felt in Eastern Europe. The onset of thyroid cancer in children in the Ukraine is 10 times what it was pre-1986. The thyroid gland can not distinguish between dietary iodine and radioactive iodine so it absorbs whatever it gets. Research findings from this dark period of history showed that those people who had an adequate amount of iodine in their diet were not so susceptible to thyroid cancer. Let us hope that those residents near Fukushima had healthy iodine rich thyroid glands. Thank you for an easy to read and understand article on thyroid issues. I have read so much conflicting information in the past that I had given up trying to understand what the real issues are. I take your Hair Skin Nails Excel every day (for about 4 weeks now) AND it is working. My nails are growing so fast and strong that I have to file them every second day. The ridges seem to be less. (Maybe that is wishful thinking but I seriously do think there is improvement). I think it is helping with my general health. I am still tired a lot but a recent test showed that the thyroid is sluggish (medical term used by my Doc). My Doc has increased my dose every second day. I think I am getting better. I am just hoping that the weight starts to come off again. I am trying! I also take you Anxiolift (when needed) I have to tell you that it is amazing. I have been a really bad sleeper all my life. Guess what? I sleep through the night most nights now. I have given away so many bottles of this product to friends who suffer the same bad sleeping problems as I did.